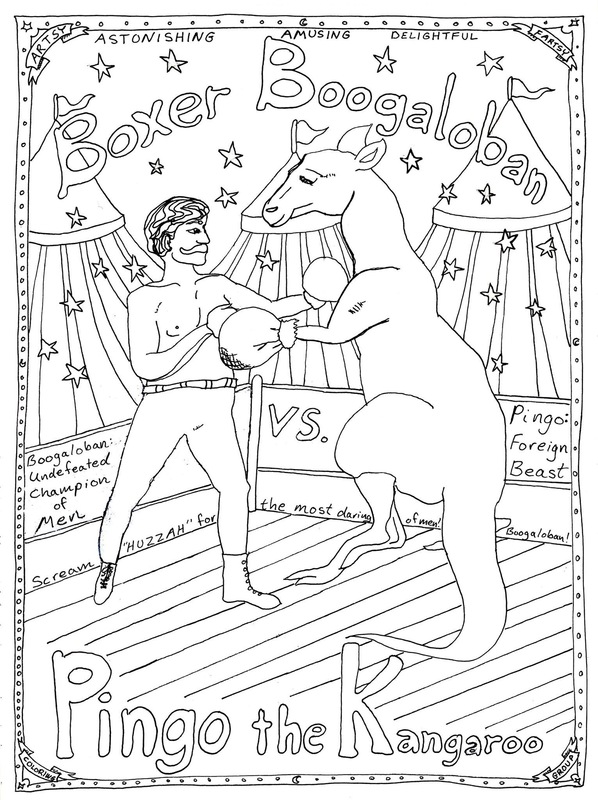 Marilyn was actually the first to win, and she asked me to draw a circus poster for a guy boxing a kangaroo. Join the group if you like. I recommend it. You can be a lurker, or a full on coloring artist. I appreciate everyone. In researching the history of Mount Horeb for the troll coloring book, I learned about this woman Oleanna Cunneen. She was of Norwegian descent, and she did a lot of art in a very traditional, Norwegian style. She was the first troll creator in Mount Horeb. Her trolls were about a foot high, usually, and were displayed in store fronts around town. (aside: She even sent one to then President Ronald Reagan!) When she painted on wooden boards, she often used a rosemaling border. Troll painting by Oleanna Cunneen, with Rosemaling border. I wanted to incorporate that into my coloring book, The Trolls of Mount Horeb, some sort of Oleanna Cunneen-inspired border, so I ended up doing this around the poetry. I then realized (a bit too late) that if I surround the poetry with something to color, then I have back-to-back coloring, which it appears colorists don’t care for much. The whole point of the poems is so that every other page will not have coloring. Also, I like writing poetry. But, anyway, it seems too late to change it. Sorry not sorry? Maybe the borders will only bleed through to around the outer edges of the trolls, and then the trolls will have a border, too. Though, probably not. Probably, this is just a big goof. 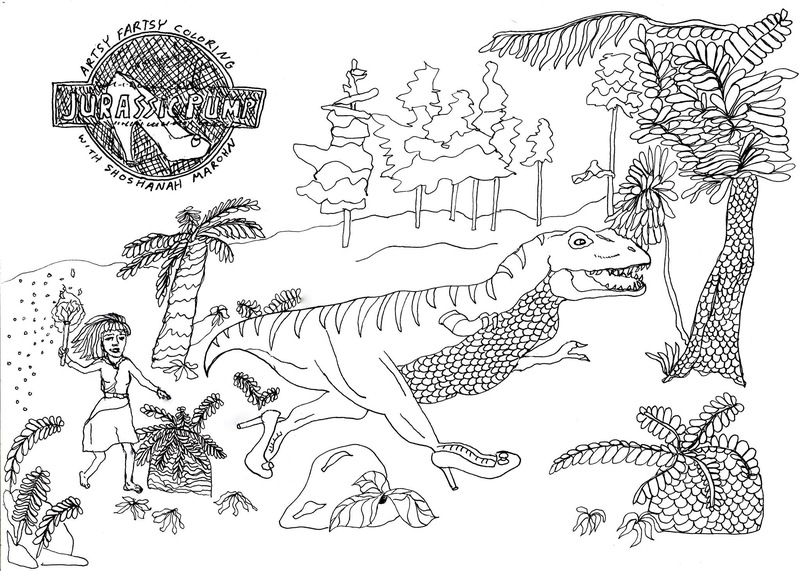 The border I’m putting around my poems in the new Trolls of Mount Horeb Coloring Book. Maybe it’s a huge mistake. Maybe, it’s the best thing ever! Probably something in between. Either way, doesn’t look like Rosemaling until you color it. Win A Portrait of Yourself! I’ve started a Facebook group now, “Artsy Fartsy Coloring with Shoshanah Marohn.” In order to really start it off right, I’m doing a contest! CONTEST: Let’s kick off this new group with a contest! Win a free colorable (pen and ink) PORTRAIT OF YOURSELF, done by me, Shoshanah Marohn! Join the Facebook group Artsy Fartsy Coloring with Shoshanah Marohn. When: Post the picture by noon on March 2nd, 2017. Why: Because it’s fun, silly. How to increase your odds: Post more than one picture! Every picture is an entry. Colored pictures on this page make me happy. Share this wherever you like. 3. 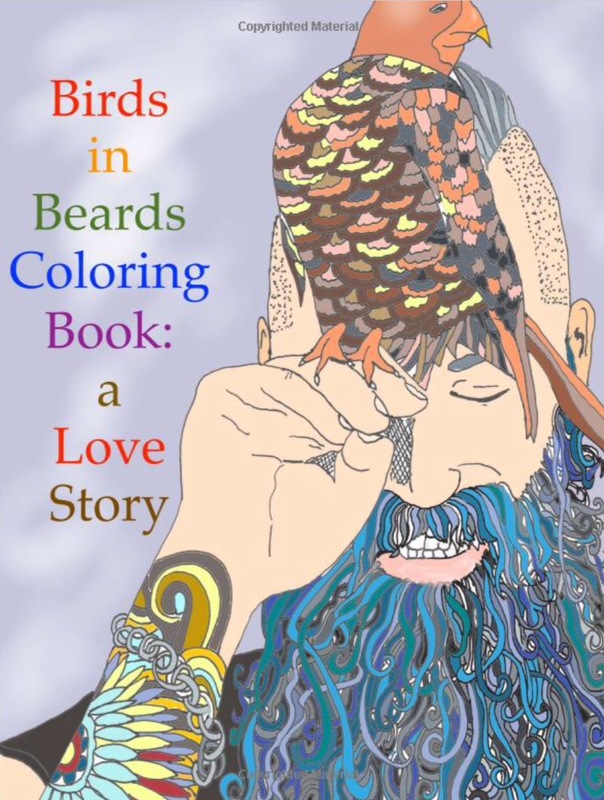 Draw a bird in the beard. After eighteen years of sweat, tears, and bird poop, at least I got a good coloring book out of it.